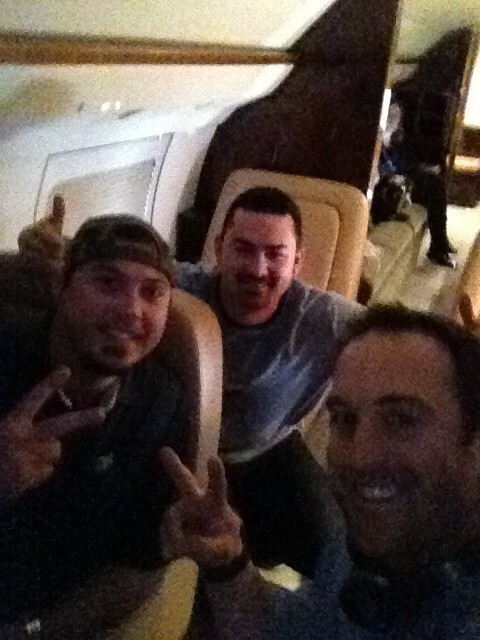 That’s Josh Beckett, Adrian Gonzalez and Nick Punto flying first class from Boston to LA. Not sure where Carl Crawford is, but holy crap, I CANNOT BELIEVE this trade actually happened. I guess it’s not 100% official, but close. Talk about a freaking salary dump by Boston here. Wow. Sure, there’s a bazillion dollars involved… but this trade gets vetoed by the commissioner of every fantasy baseball league in America. Real life though? “Sure! Let’s do it!” Unreal. Here’s to hoping that Phil Mickelson loves the idea of keeping pace with Magic Johnson. Dodgers to the World Series! Eff you Giants! This entry was posted in Baseball, MLB and tagged Adrian Gonzalez, Carl Crawford, Dodgers, dodgers red sox trade, josh beckett, nick punot, nick punto, Red Sox. Bookmark the permalink.